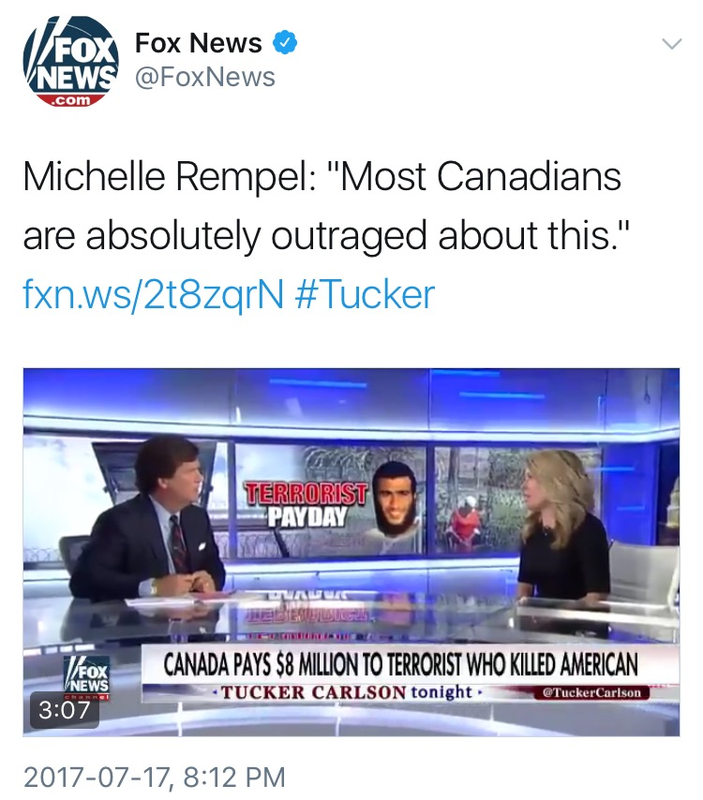 A new centre-left turn for Canadian triumphalism. Just when you thought U.S. outlets had published every possible trend piece about Canada, The Atlantic recruits Jonathan Kay to explain how a Toronto family paying a little extra tax helps keep the infrastructure from falling apart. Craft beer makers feeling more bullied by big breweries. CBC News taps into Labatt and Molson's ongoing effort to snap up successful smaller players, frustrating the independents who’ve pushed for greater craft beer transparency. But the artisanal image has become so formulaic that even A&W root bear is copying it. 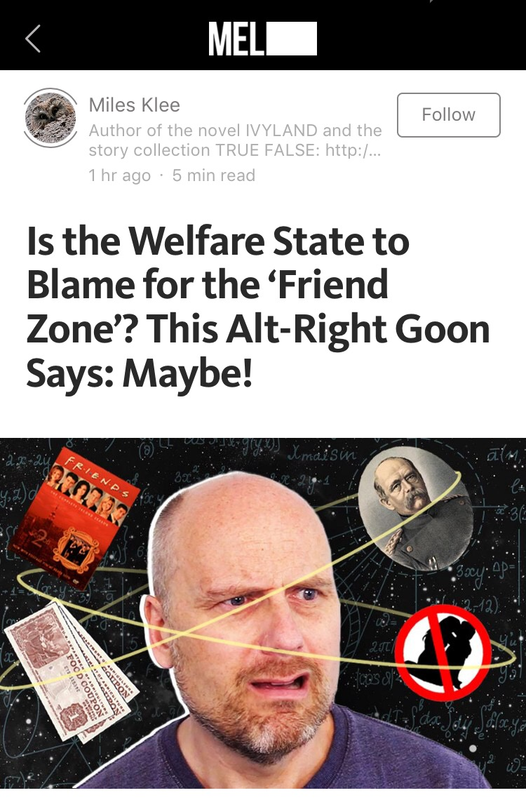 “Was there such a thing as the friend zone before the existence of the welfare state?” That question was posed by Stefan Molyneux, the GTA-based host of Freedomain Radio, which attained notoriety when his therapist wife was reprimanded for telling listeners to shun their families. Like much pro-Trump media, it’s hard to gauge how much is performance art. 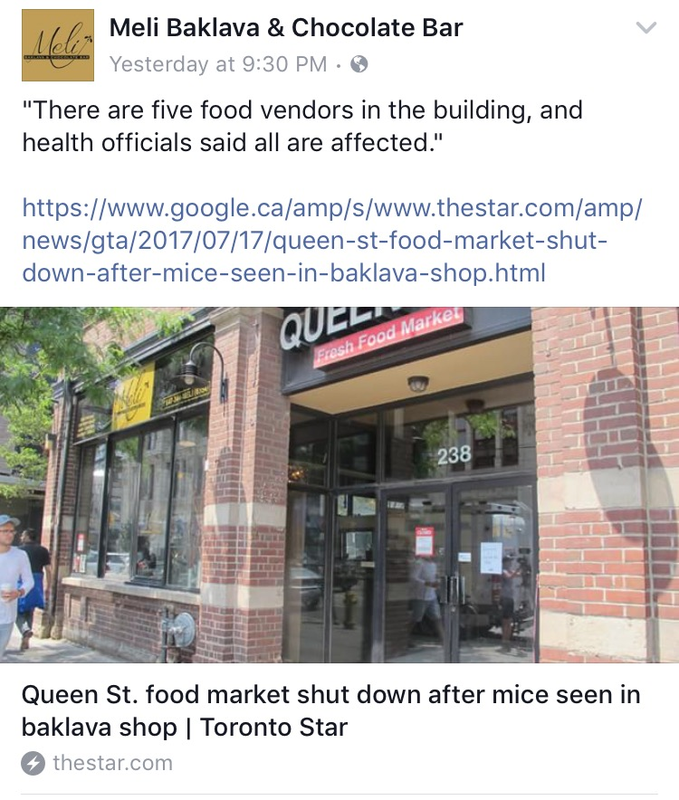 Best to laugh at it whenever you can. Star Touch exiles missing the non-news. 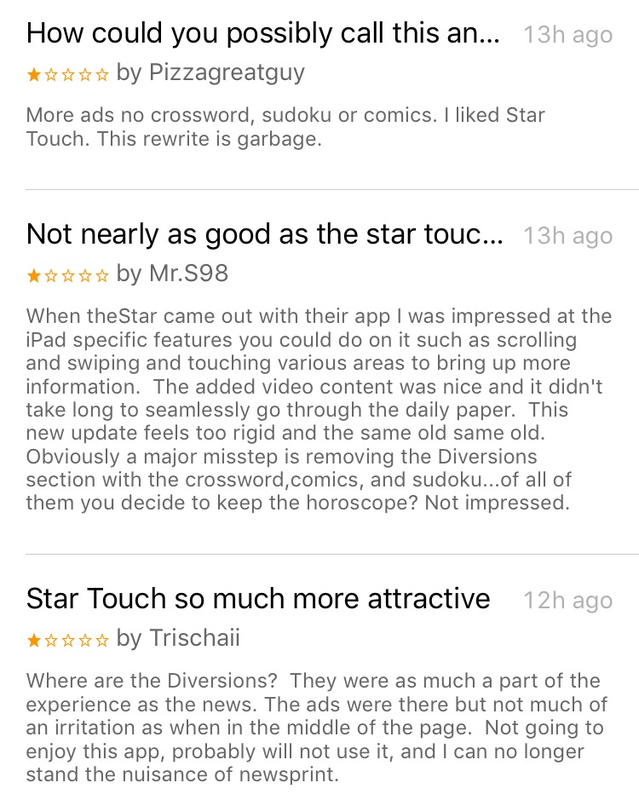 The first reviews are in for the new Toronto Star app, which tablet users are being urged to try before Star Touch, its $40-million predecessor, disappears in two weeks. So far, users are mostly complaining about the absence of diversions. Former mayoral candidate concedes that he loves the limelight too much. Defence lawyer Ari Goldkind admitted to a “very poor decision”: skipping a sentencing hearing for a client, who had been convicted by a jury of manslaughter in a 2013 Nuit Blanche stabbing. Instead, Goldkind did television appearances, which he promoted on Facebook. Goldkind, who came to prominence as a fringe candidate adept at attacking Doug Ford during the 2014 election, avoided contempt of court. This product, designed to catch wasps, has been pulled from Loblaws shelves after one ended up catching and killing seven chickadees.